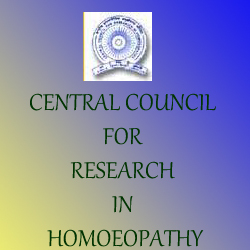 How to Apply: Nominations addressed to Director General, Central Council for Research in Homoeopathy (CCRH), 61-65, Institutional Area, Opp. ‘D’ Block, Janakpuri, New Delhi-110058 should be sent as per the prescribed proforma (original + five copies) latest by 31-01-2017. A CD/DVD/USB flash drive is also required containing digital photograph (in JPEG format), duly filled proforma and significant publications (in PDF format) of the nominee. The details of the Award Scheme and the prescribed proforma (Annexure-1) for nomination may be obtained from above address or may also be downloaded from website www.ccrhindia.org. The application should be sent in an envelope superscribed as “Application/Nomination for _______________________” by registered/speed post. In case of nominee from abroad, the form should be forwarded through Ministry of AYUSH, Government of India fulfilling all the requirements as per guidelines for foreign nomination. More Details and application proforma below.